What does Christianity have to do with real life? 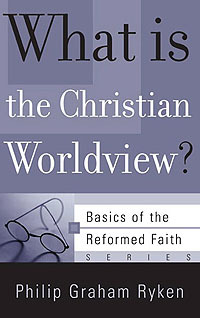 Ryken reveals the basis of a Christian worldview and describes how it affects one's view of God, Creation, the family, the arts, and other issues. Philip Graham Ryken is president of Wheaton College. He is Bible teacher for the Alliance of Confessing Evangelicals, speaking nationally on the radio program "Every Last Word." Dr. Ryken was educated at Wheaton College, Westminster Theological Seminary, and the University of Oxford, where he received his doctorate in historical theology. Free study guide and leader's guide.